Tea bags, both black and green, are said to help revive tired eyes, as well as reduce dark circles, and puffiness. 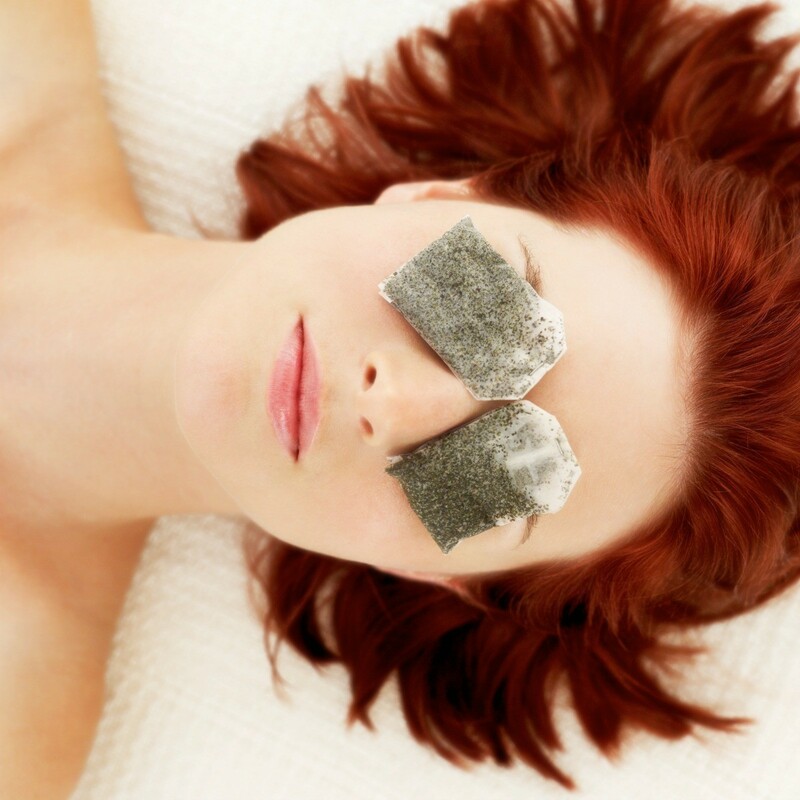 This page contains ideas about using tea bags to relieve tired eyes. Not only can you drink your green tea but, if you have puffy eyes, dark circles, or tired eyes, the tea bags can help reduce them. Make your tea and instead of tossing your tea bag out - squeeze the excess water and put the tea bag(s) on a plate into the fridge for about 10-15 minutes to cool down. In the meantime, wash your face with cool water and pat dry. Then apply the chilled tea bags to your eyes for 10-15 minutes and lay down. How long should I use tea bags for my under eye bags? Be sure they are very cold when you apply them (in the fridge overnight) and keep them on your eyes for about 10 or 15 minutes or until they warm up to your body temperature. 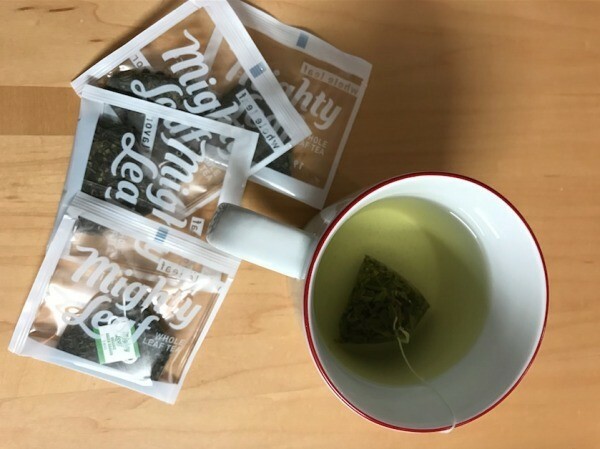 It wouldn't hurt to have 2 sets (or a total of 4 used tea bags) this way you could use one set for about 5-7 minutes, then switch to a brand-new cold set when the first set gets a little warm! So you don't have to get up and go to the fridge during your session, keep your second set of tea bags cold by keeping all of the used tea bags in a cold ceramic or glass bowl overnight in the fridge with a second matching bowl stacked directly under the bowl with tea bags, then when you take the bowls out of the fridge right before you use them, put several ice cubes in the bottom bowl then place the other bowl back on top. That way, the bowl on the top that has the tea bags will continue stay cold and you won't have to get up and run to the fridge! * Remember, it's both cold and the Tannic acid in the tea bags that brings your swollen, baggy eyes back to normal. You can also buy a cold eye mask that's filled with gel that you put in the fridge each night. They cost around $7 and you can usually find them at your local Drug Store. These are handy and less messy but you won't get the added benefit from the Tannic Acid in the Tea.